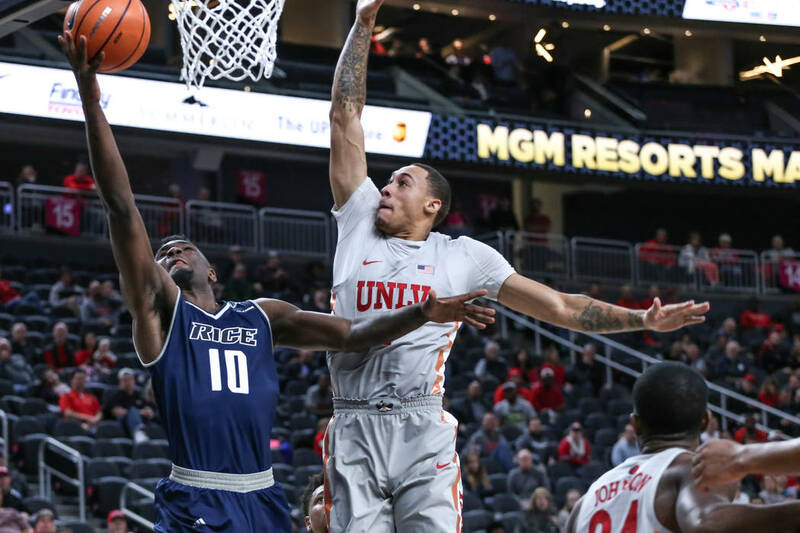 Breaking down the UNLV basketball game against Utah at 9:30 p.m. Wednesday at T-Mobile Arena. Justin Bibbins has given Utah a true point guard to run Larry Krystkowiak’s system. Bibbins, a graduate transfer from Long Beach State, is a proven scorer along with his ability to make plays. He’s undersized, but not short on talent and explosiveness. Sedrick Barefield is a knockdown shooter from the perimeter and might have a big season now that he won’t have as much ball-handling responsibility. 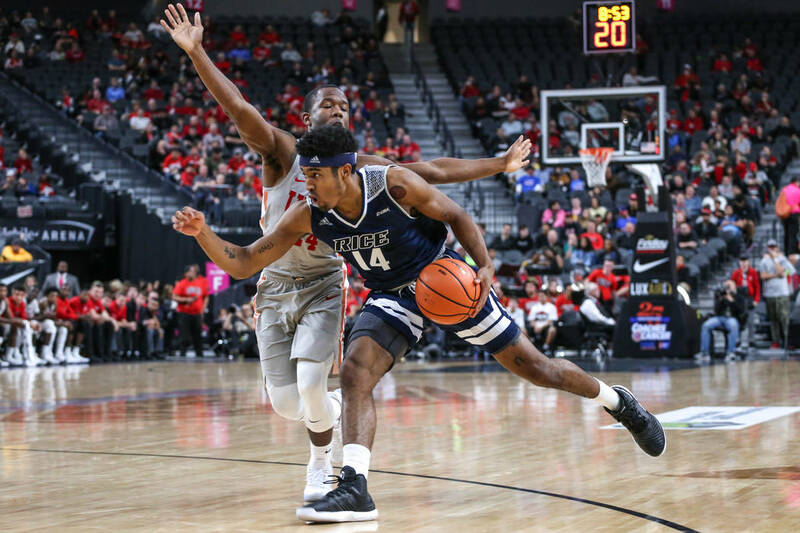 Jordan Johnson will be challenged to push the ball at the pace UNLV wants to play at against an experienced backcourt that will be trying to slow things. Jovan Mooring will need to win his matchup with Barefield at both ends. 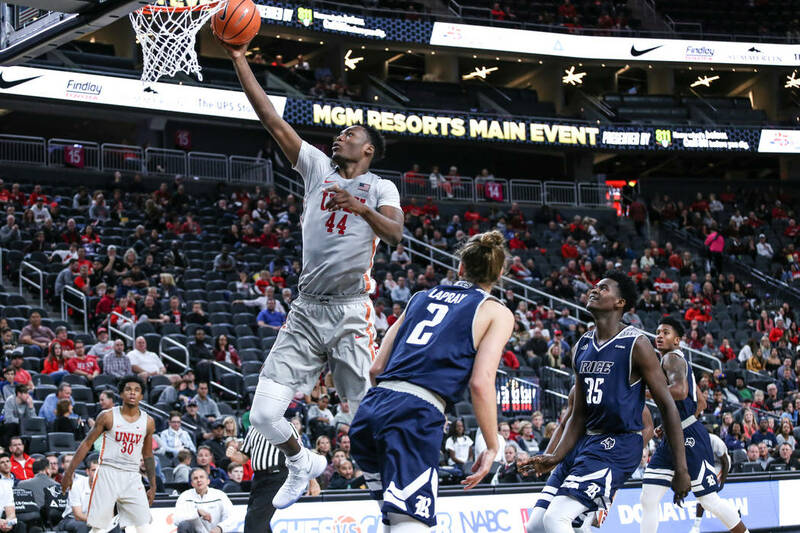 This will be a great early-season look at just how good UNLV’s ultratalented front line can be. Utah has two 6-foot-10-inch forwards in David Collette and Tyler Rawson who will serve as a measuring stick for Brandon McCoy and Shakur Juiston. UNLV fans will remember Collette from his two good games against the Rebels as a freshman at Utah State. He’s grown into a consistent physical force in the paint as a senior for the Utes. Rawson isn’t as sturdy as Collette, but can stretch the floor on offense and protect the rim on defense. Small forward Gabe Bealer is also playing well as he works his way back from a back injury. 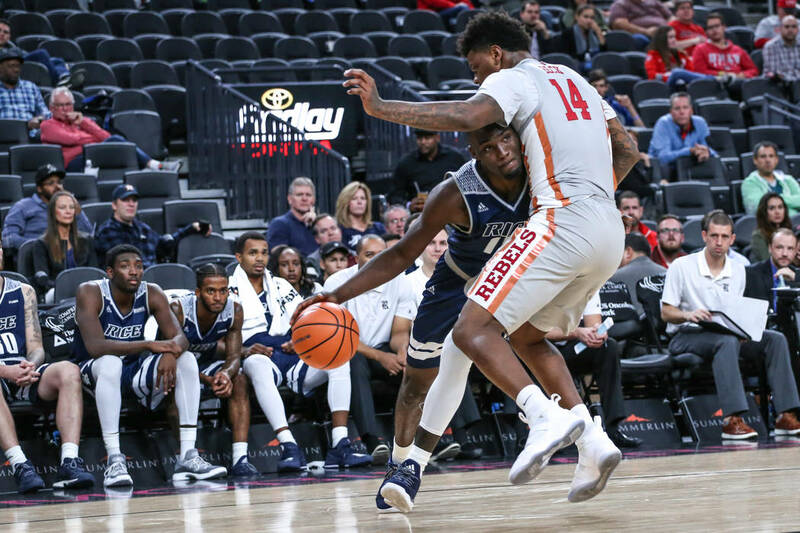 One of the most positive developments early in the season for the Rebels has been the emergence of several legitimate options off the bench. 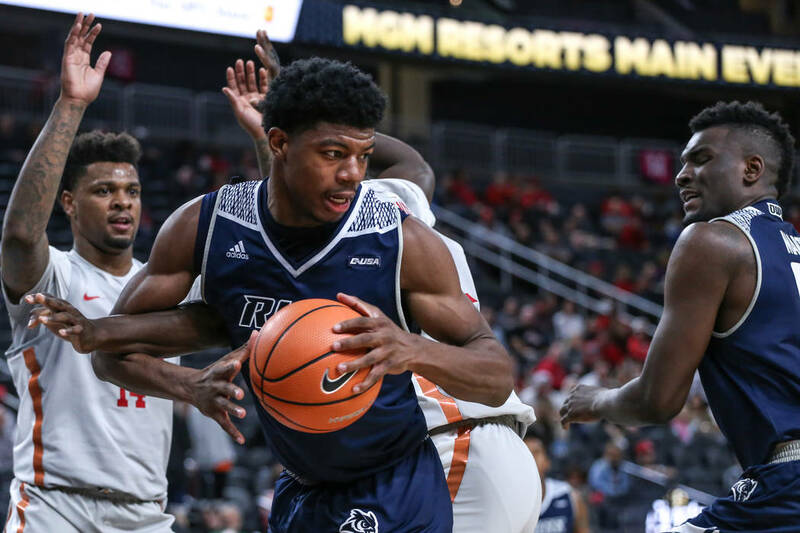 Anthony Smith is an energy guy who impacts the game on both ends of the floor, Tervell Beck rarely misses a shot, as he has scored almost a point per minute, and Amauri Hardy has provided quality minutes backing up Johnson and Mooring. The Rebels probably will need to get at least a few good minutes out of the big guys on the bench in this matchup against the size of the Utes. Findlay Prep product Donnie Tillman has been good for Utah, but Parker Van Dyke hasn’t found his shot. 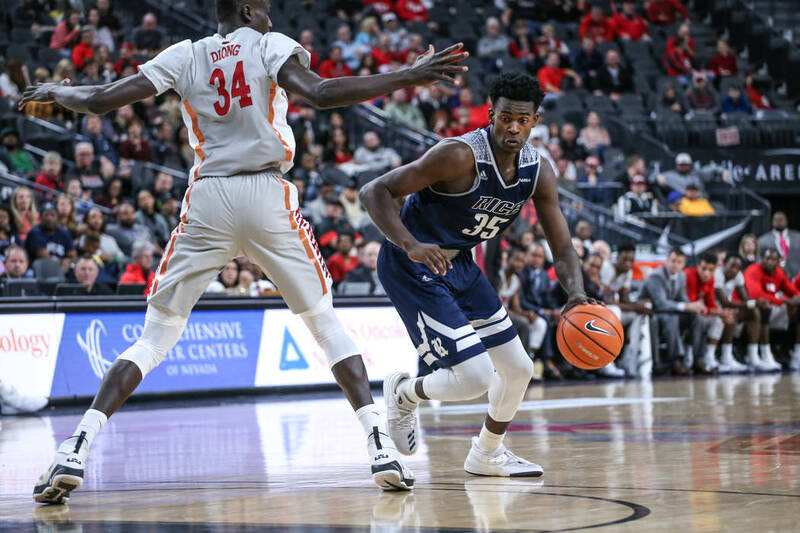 Bishop Gorman alumnus Christian Popoola hasn’t found his role. This should be a pretty evenly matched game, but the Utes have the advantage of having four seniors and an experienced junior in their starting lineup. Utah also has played two Southeastern Conference foes and is more battle-tested.